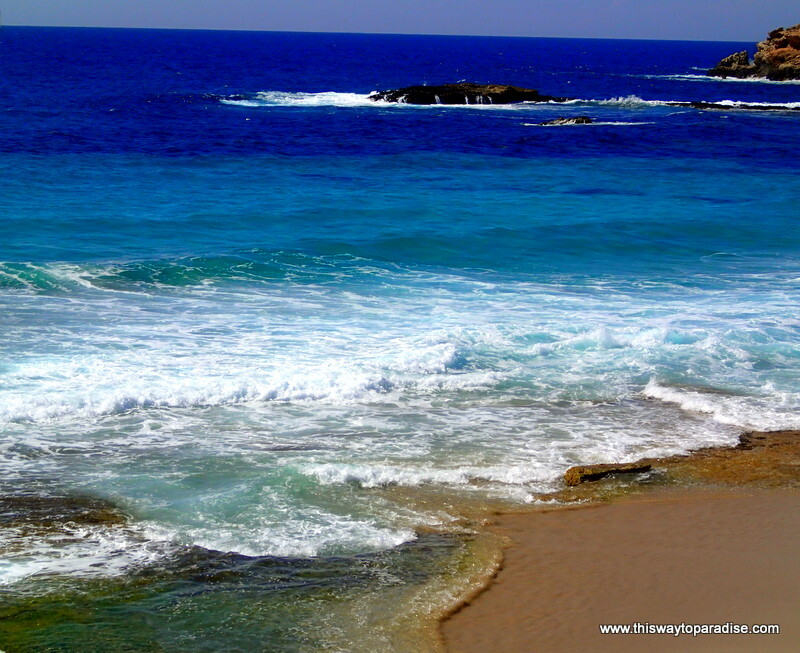 Todos Santos-The Antidote To Cabo! Pssstttt… I’m going to let you in on a secret. Ibiza is so much more than Amnesia, Space, and Pacha. (In case you’ve been under a rock, these are some of the most famous nightclubs in the world). In fact, these clubs are only open three months out of each year. 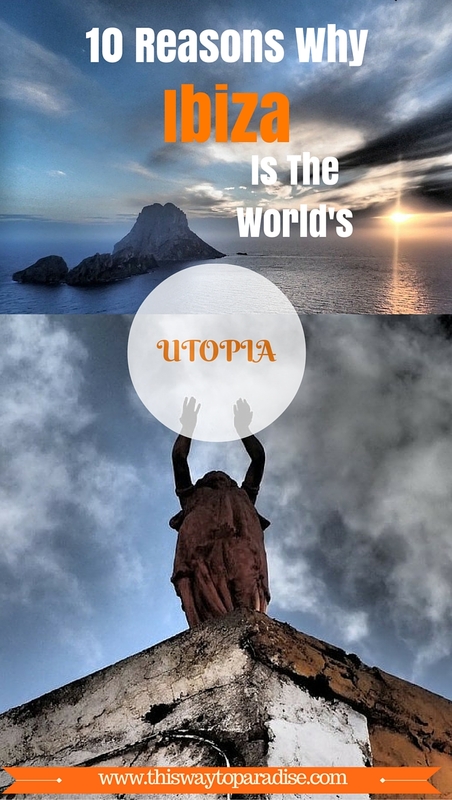 After visiting Ibiza twice, I am convinced that Ibiza really is the world’s utopia. You don’t often find the mix of all that Ibiza has to offer in one place, but Ibiza has them all. Seriously. I have been to many beaches all over the world, and none have hit me like the beaches on Ibiza. Ibiza has some of the most beautiful water in the world. Clear and many different shades of blue. Rock formations and small islands seem to emerge from the water wherever you go. These pictures don’t even do it justice. I couldn’t take my eyes off the ocean when I was in Ibiza. Ibiza practically invented chill-out music. Cafe del Mar, Blue Marlin, Tantra, Bambuddha. Yeah, all of those. They are located in Ibiza. They all have live DJ’s who are creative with their music and set just the right mood. Most of the chill-out scene is located ocean-side and many of the bars have big beach beds for you to nap on and watch the day fade away. My personal favorite is Sunset Ashram which overlooks Cala Comte Beach, which to me, is the most stunning beach in Ibiza. 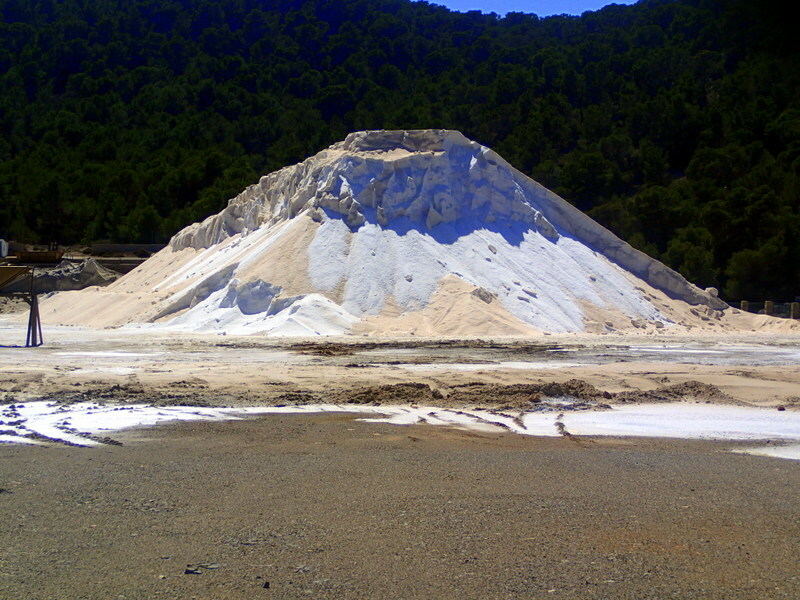 Ibiza has salt pans, and the salt is some of the best in the world. The salt works there date back to the 8th century BC! 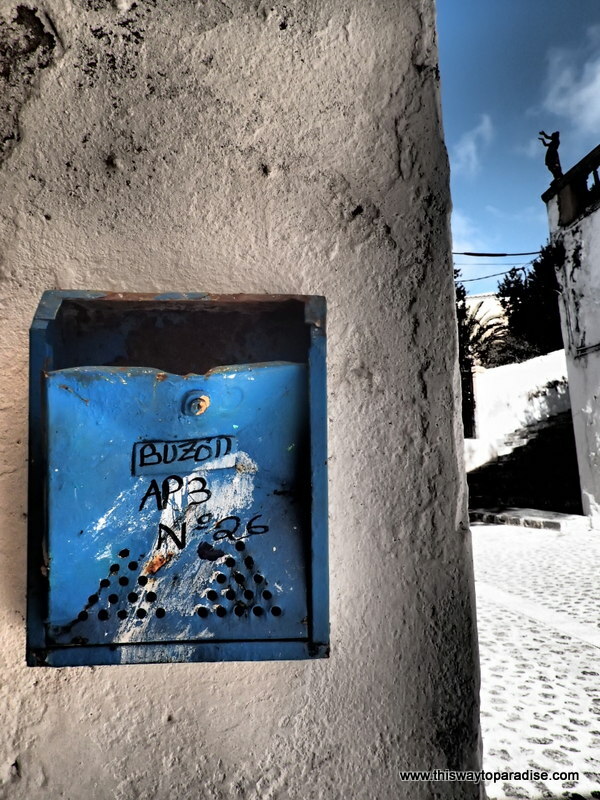 Before tourists knew Ibiza for its beaches and its clubs, people knew of Ibiza for its salt. I bought so much the first time I visited, that I still had a supply six years later. Dean & DeLuca chooses salt from Ibiza to sell, and the delicate flavor makes it a great finishing salt. I wanted to cry when I saw Es Vedra. I have never seen anything which captivated me more. I seriously couldn’t take my eyes off this beautiful rock formation. Gratitude for the simple fact that I was alive and getting to experience that moment welled up in my entire being. Many say that Es Vedra is the tip of the sunken civilization of Atlantis. 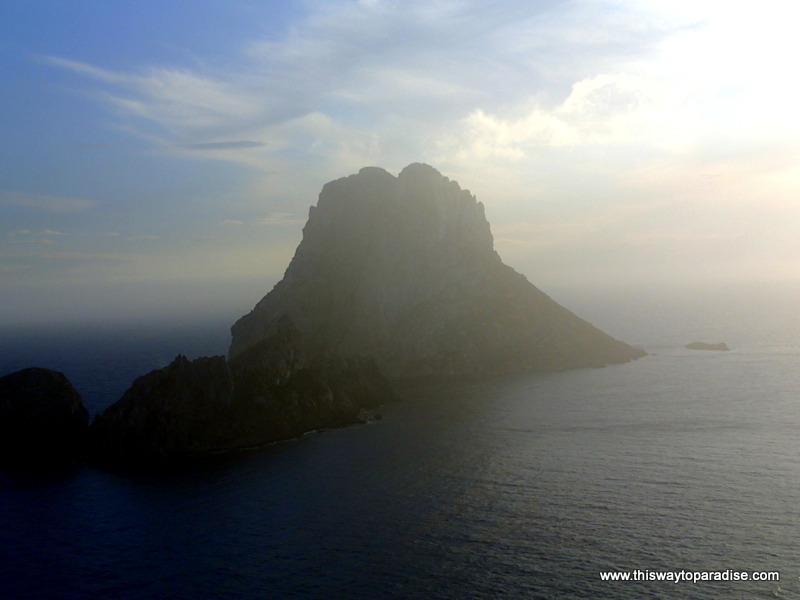 People come within the vicinity of Es Vedra to meditate or just to experience the energy that surrounds this transformative spot. It is a surreal place to see the sunset, and I would not leave Ibiza without seeing the glorious natural beauty of Es Vedra. 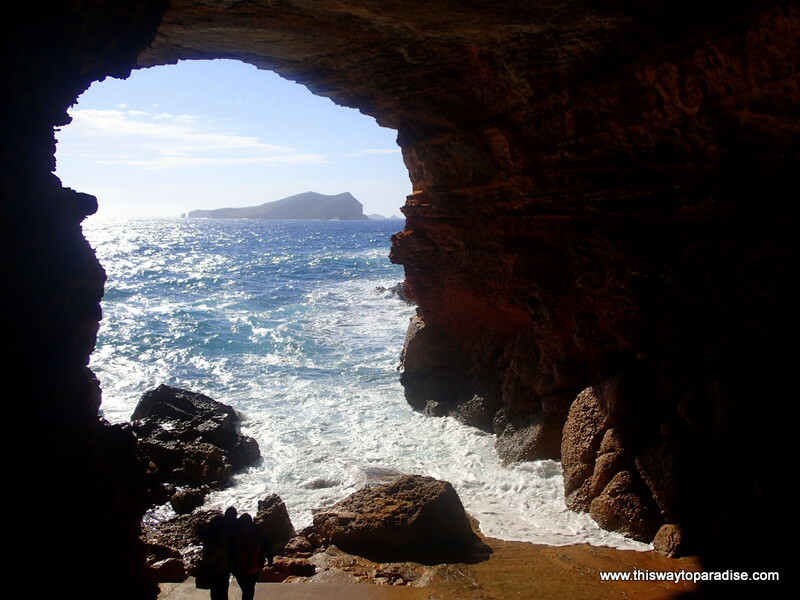 Ibiza has a lot of secret sea caves all over the island. I have to keep some things a secret, so I won’t tell you where this is, but this particular one is known for its secret cave parties. People come to celebrate the setting of the sun and to dance the evening away. (Sounds kind of like a scene from The Beach, doesn’t it?). Seeing that a stalactite had completely crashed into the cement floor and gone through it causing a big hole in the ground made be wonder what would happen with a lot of thumping bass going on. Regardless, at least visit the caves for their beauty! 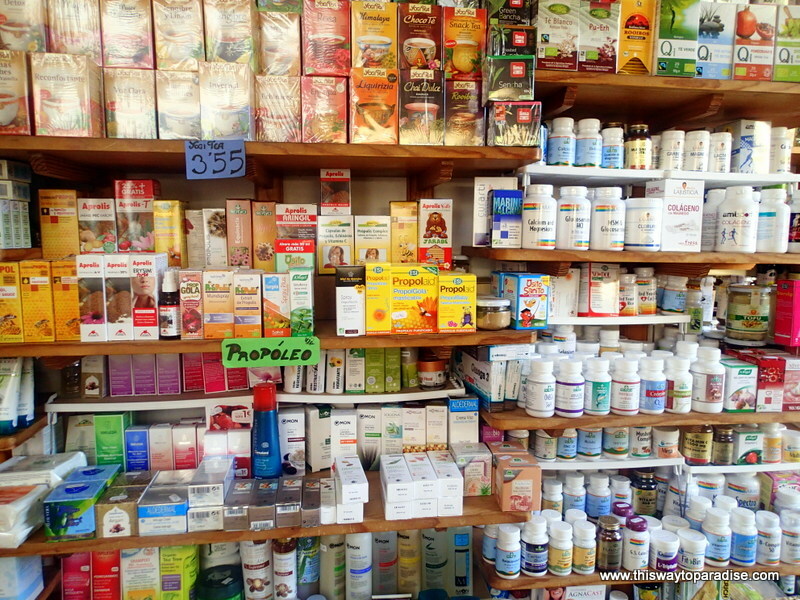 For such a small island, there are an incredible amount of health food stores. I visited three on my first day there. It was so great to be able to restock my spirulina and the other supplements that I travel with to stay healthy. Many cafe’s also served beet-orange juice and healthy foods. Old Town is one area that you don’t want to miss. This UNESCO World Heritage Site is a hidden treasure for photos. The pedestrian-only cobblestone streets lead you down narrow alleys that make you feel like you have gone back in time. At night, tables from restaurants and bars spill out into the streets and can make for a fun atmosphere. A lot of island paradises have very little to offer in terms of nightlife, but Ibiza has some of the best nightlife in the world. 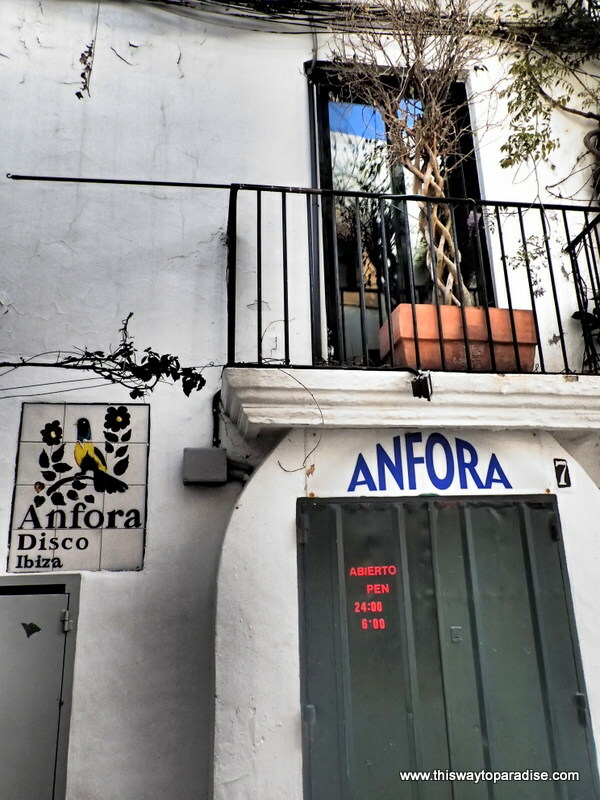 If the big clubs aren’t your style,check out some of the quaint bars and discos in Old Town. Need I say anything more? There is a fun, playful atmosphere about the whole island. The people are happy. How could you not be with so much color and beauty saturating your life? Perception changed. Craving Ibiza now. Jackie, you would love it!! I actually thought of you while there and how much you would have loved the beaches and nightlife! Pacha is open friday and saturday winter time (restaurant and bar, not the main room). Very good but what about the countryside (campo) calm and peaceful, not many people appreciate it. Hey, I had to keep some things a secret! La descubrì en los 80 y regresèa vivir con mis hijos en el 2007!!! me enamorè y stoy segura que he vivido aaquì,en otra vida!!! I have never wanted to visit Ibiza before but I think you might have just changed my mind! I think you would absolutely love it!! You need a car to see the truly beautiful spots, but it’s so worth it. Many places have the same spiritual energy of Hawaii, and amazing food…. So amazing I moved there. It really is the best place in the world. 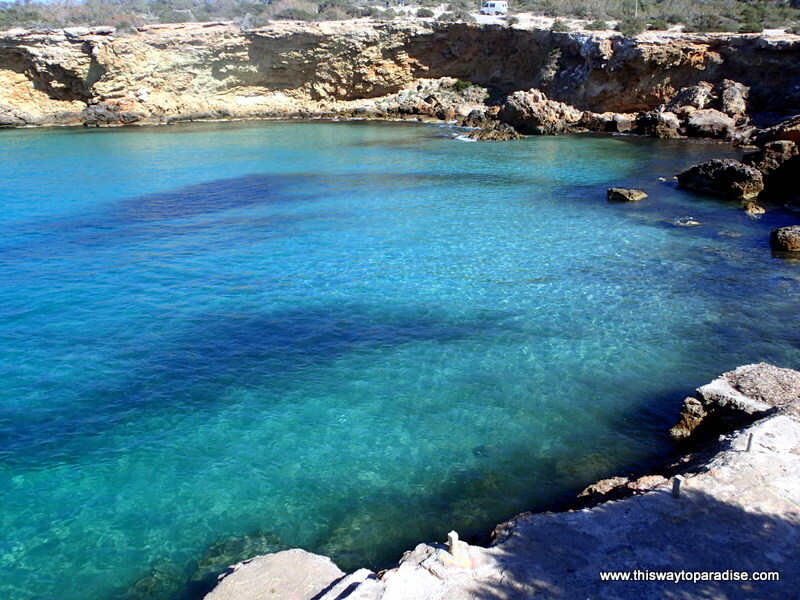 What about the little “calas” (bays) all over the island? 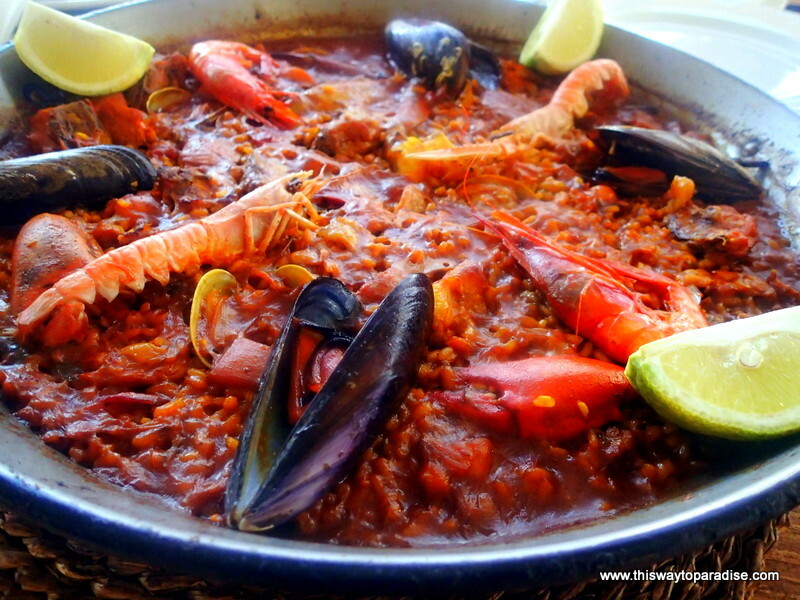 What about the amazing culinary variety on an island with a mere 130.000 inhabitants? What about the metropolitan feel of such a varied population and melting pot? 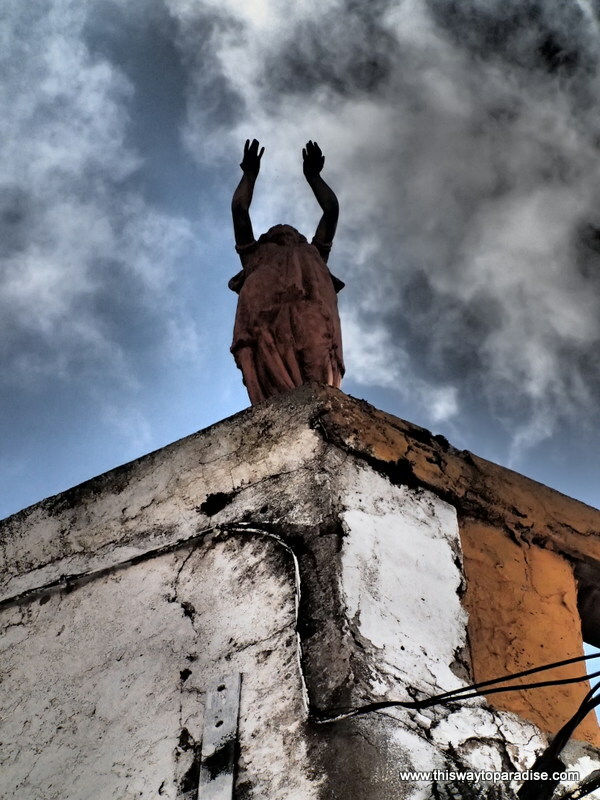 What about little pueblos such as Santa Gertrudis, San Miguel or San Carlos? 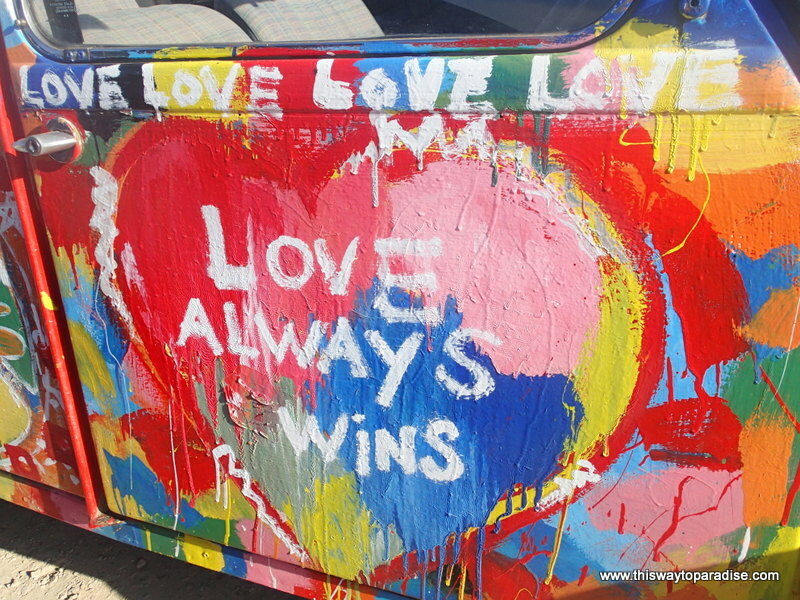 A visit to Bar Anita, the Las Dalias hippy market and the San Juan Sunday market? A drive along the roads on the North of the island, ie. the San Juan road to cala San Vicente and the road connecting Can Balafia to San Carlos? A hike down to Atlantis? 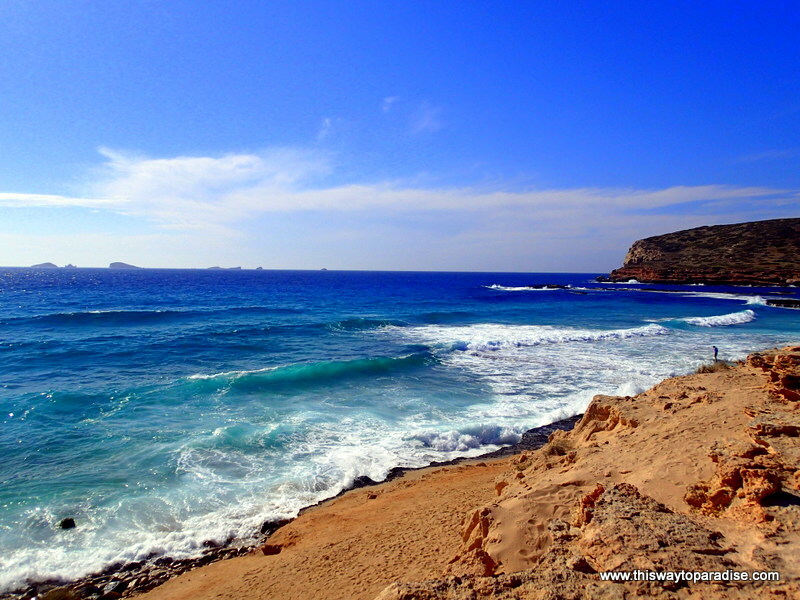 A 30-minute boating trip across to the island of Formentera and its beaches at Es Palmador and Illetes? Your article is a very good start but can be further enhanced to edit everything that is beautiful about the island without focusing on its nightlife. Yes, there is so much more I could write about! Unfortunately, if you make an article too long, people won’t read it…that’s why it’s just 10 reasons…of course, there are so many more! I visited Ibiza for the first time two years ago im going back in another three weeks… I must say i have never been anywhere like it, when i went on a boat trip to Es Vedra i found myself crying at the sight of it and also a beautiful calm feeling.. This place is just amazing i love all the chillout bars and its beautiful beaches.. I would recommed it to anyone of any age as age dosent matter in Ibiza.;-);-);-).. I felt the same when seeing Es Vedra! What a glorious place. I can’t wait to go back. This was my second time to Ibiza. I have lived here in Ibiza since 1989 – and couldn’t imagine living anywehere else. Es Vedra is my go-to place when I need to put things into perspective. As an artist, I am in the best possible place for inspiration. PODER VIVIR EN IBIZA ES UN PRIVILEGIO. YO VIVO AQUI DESDE EL AÑO 1998 HE SALIDA 2 VEZES POR 4 AÑOS. PERO DESDE 16 AÑOS VIVO AQUI DE NUEVO TODO EL AÑO ! MI HIJA A CRESIDO AQUI. ES UNA NIÑA,SEÑORITA FUERTE Y LLENA DE ENERGIA POSITIVA. This is a great read! 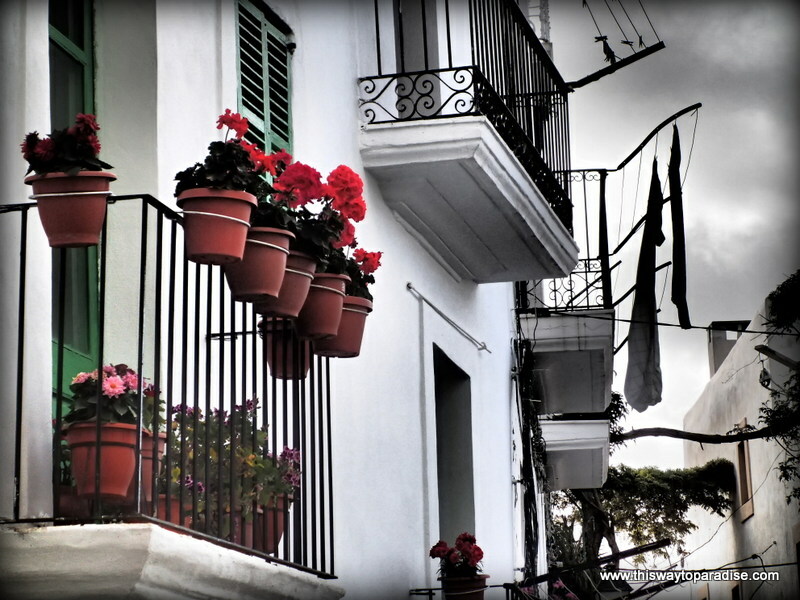 Ibiza isn’t somewhere I had previously thought about going to – had no idea there was so much to it – you’ve completely sold it with this description and these lovely pics! El amor siempre gana ! I have to admit that I’ve only bee to Ibiza for the clubs, but do agree that it’s staggeringly beautiful! We had a nice time when we stopped partying and just explored the island! Beautiful! I always associated Ibiza with nightlife which honestly doesn’t interest me anymore. But the geography seems amazing, especially love the photos of Es Vedra. Yes, Es Vedra was one of the best sites I’ve ever seen. Nightlife doesn’t interest me anymore, either. I went back to visit friends, and am so glad I did! When I think at Ibiza the first thing that comes to my mind is the party aspect of it which is a bit foolish but the people that I know that went there always tell me all about the nightlife. Clearly there is more to discover! The party aspect is still great… I think the fact you can literally do anything you want in Ibiza is what makes it so liberating. If you want to party, watersports, meditate, relax, eat good food, talk to lovely people, have positive vibes goign at all times then you can absolutely do it. I’m still young at just 31 and have been partying (and relaxing) there for 16 years and counting! I also learn Spanish so it’s good to get a bit of practice in, too! Ibiza is a place I’m really hoping to get to this next year when I’m living in Spain. This post makes me want to go there really soon! It’s awesome, Mike! Rent a car or scooter to see the best sites! Interesting, I’ve always looked at Ibiza as nothing more than a party island. 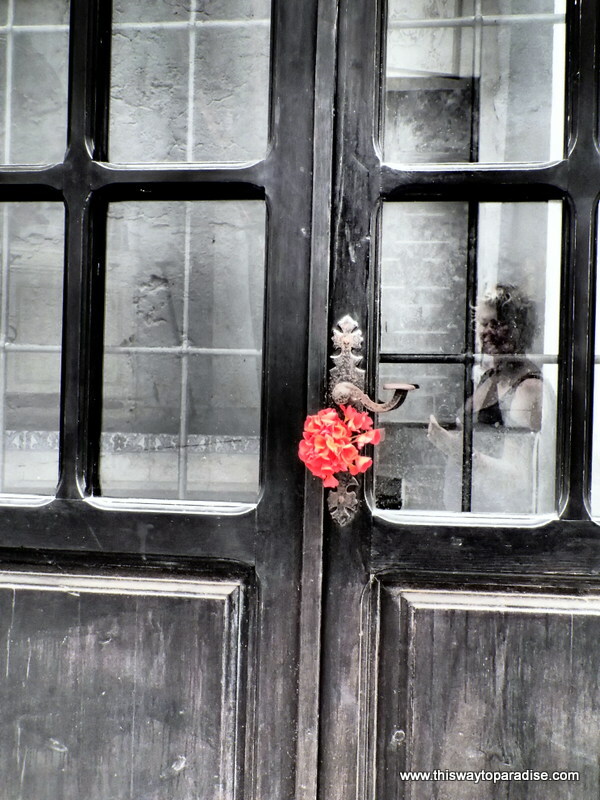 How easily we can dismiss places without ever truly knowing them. Thanks for this! Ahhh… I’ve always wanted to visit Ibiza, and now I have 10 more reasons to go! Love this article! I’ve actually never heard of Es Veldra before – what a gorgeous place. 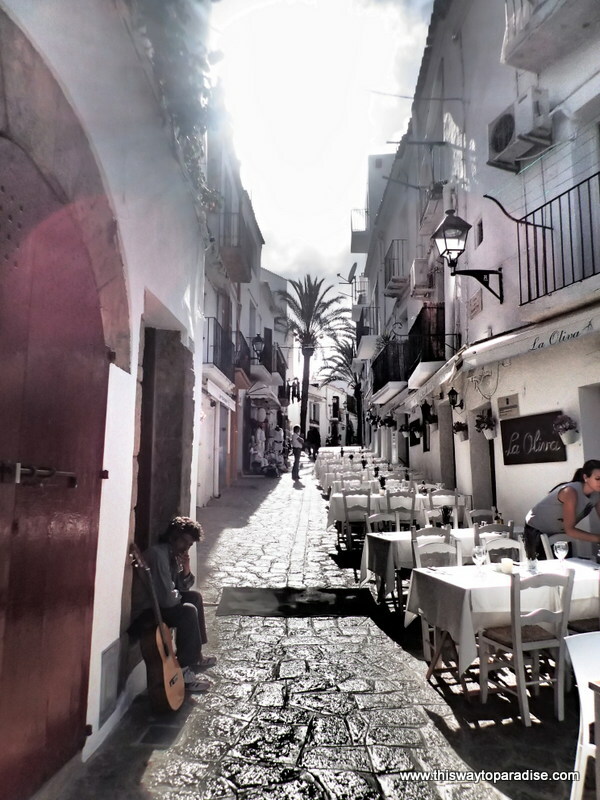 I have to admit that I’m like @Delvin – I’ve always written Ibiza off as a party island only. I may have to rethink that! I’m so glad to see someone writing about the nature in Ibiza. Ibiza’s party reputation has always keep me away. 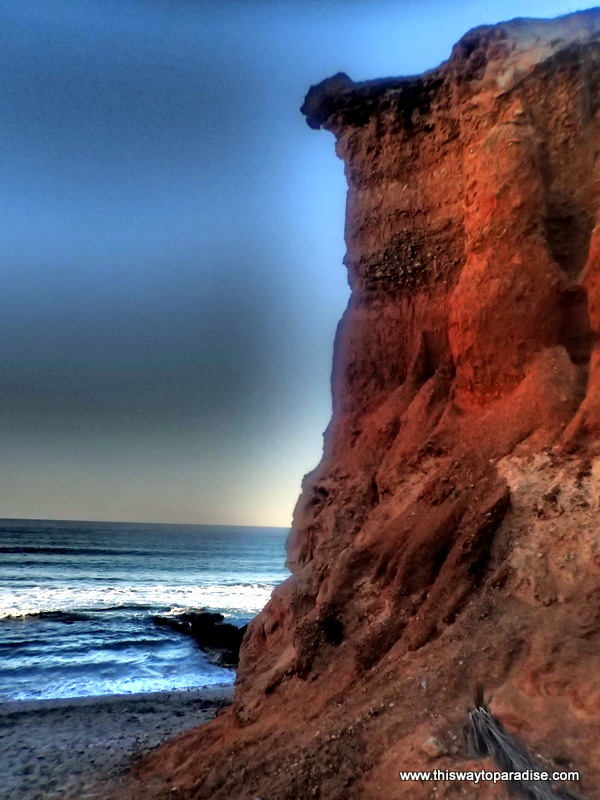 Thank you for sharing your beautiful photos. Thanks, Mary! It really is a gorgeous area that doesn’t get enough attention. Wow — I wasn’t expecting to see health food stores on this list after those breathtaking natural beauties like Ibiza’s beaches, magnetic fields, salt flats and sea caves. But how nice! Ha ha…yes, I don’t consider a place to be utopia if there’s no health food stores! I’ve neverbeen to Ibiza but indeed is on my bucket list. I have a friend that goes there every single year. after seeing these photos of very nice beaches, now i understand why she is going there. Yes, it really is one of the best places on earth! I heard the drugs are decent as well!! Wow!! All those photos are just stunning. Whenever I heard Ibiza I immediately always get a kind of like “SPRING BREAK!” image in my mind. But I can absolutely see why it is a great destination through the photos and your descriptions. I’d love to explore all the sea caves there! 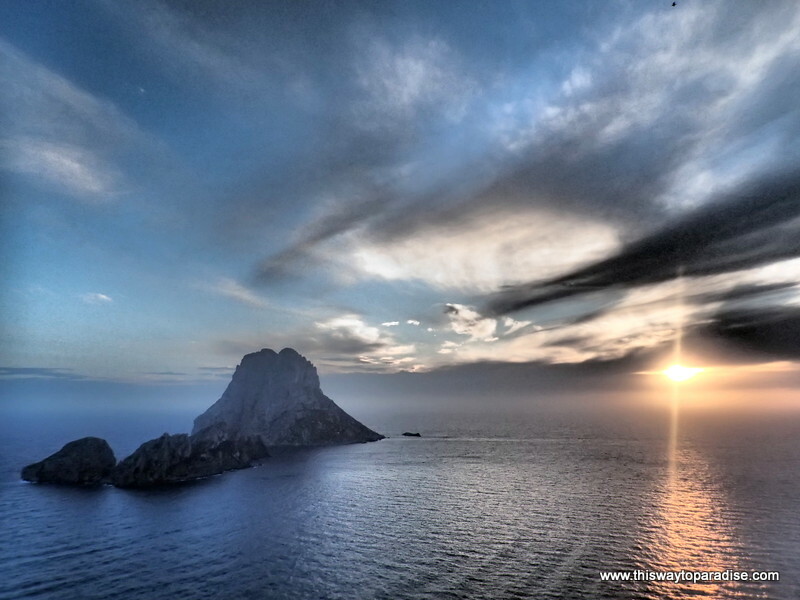 Ibiza is BEAUTIFUL island with more than 300 days of sunshine per year! !It is a blessing to wake up every morning with sun. LOVE IBIZA! I would love to spend more time there at some point! I stayed with friends, so I don’t know! There are many great places, though! It truly is a magical place! 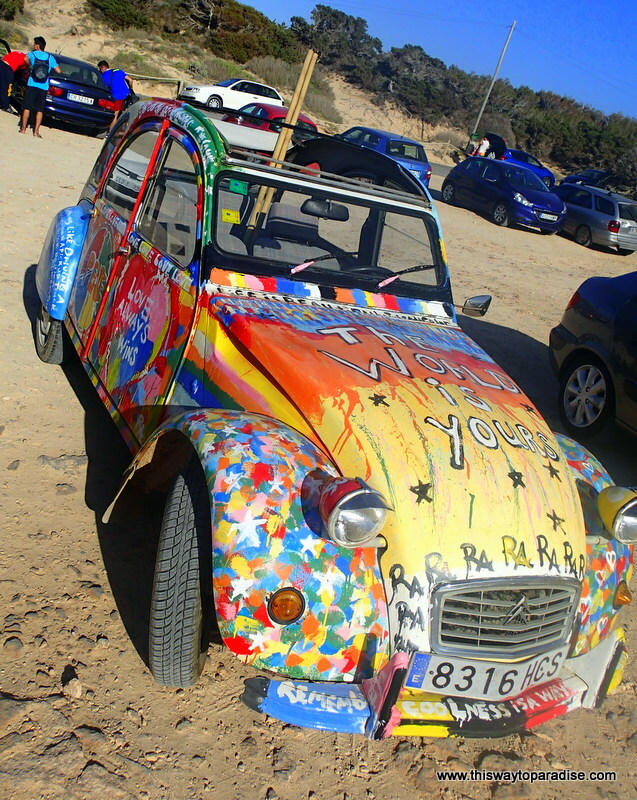 There are definetly more attractions in Ibiza but i like the article. What disturbs me is the word “ocean”… actually Ibiza is located in the Mediterranean sea. Your photos are amazing, I can just sense the energy of the island coming out from them. I first went to Ibiza in search of round-the-clock parties in a hedonistic paradise. I sure found them LOL. Funnily enough, second time round I had my heart set on a health retreat & had one of the most enjoyable island breaks I remember. Who knew the world’s ultimate sun-soaked party destination had it all! Great post. Loved it. Thank you, Jess! I did the same exact thing. It wasn’t until my second visit, when I was a bit older, that I saw the true beauty this island has to offer! So , Ibiza is a paradise? I have a great desire to meet her with all these wonders! Your photos are too much and leads us to a unique feeling , congratulations! Soon I visit you, really looking forward to this! I haven’t been to Ibiza, but I am going to Mallorca this summer! Not sure how similar they are or not, but I’m excited either way!! I will be in Mallorca in May. I think they are very different. I’m excited, though! Yes, I still have a soft spot in my heart for Ibiza. So magical!! Loved this piece. 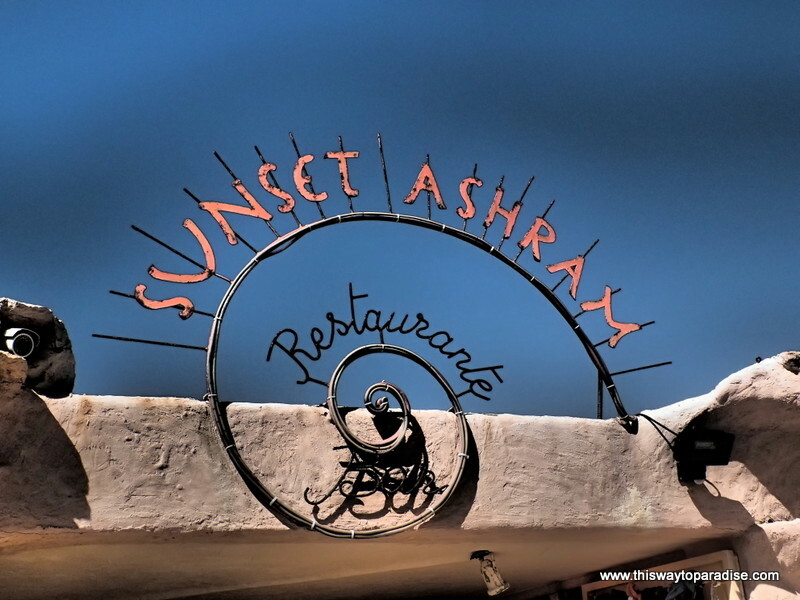 I was one of the early visitors to Ibiza and in 1969 opened the first vegetarian health food restaurant on the island and most likely in Spain, in D’Alt Villa. I wrote an award-winning culinary memoir about my time on the island called Siren’s Feast, An Edible Odyssey. That’s awesome, Nancy! I also own the food blog http://www.eatingtheglobe.com, so I will definitely be reading your book!!! I am always looking for the perfect escape, the perfect paradise, the kind of place that tosses your cares into the sea. Fortunately, I have discovered many! I created this site to show you where to go and how to get there. My goal is to show you that Paradise is only a plane ticket (or boat ride) away. I have inspired many others to travel and to create a better life. I am available for inspirational speaking, coaching, writing, travel planning, and photography. TRAVEL Some links on this site contain affiliate referrals.